Programmatic. This charged word has been making the rounds of the digital out-of-home (DOOH) industry for the past few years. Conferences are filled with discussions and debates, each trying to decipher exactly what “programmatic” means in the DOOH industry. If you are not familiar with it, programmatic advertising is essentially an augmented online auction. Rather than selecting each individual item to bid on, media buyers specify their targeting requirements, such as audience demographics, time of day and location, as well as their budgetary constraints. When an ad slot that matches the buyer’s specified conditions becomes available, an automated bid is placed. This process is called real-time bidding (RTB) as each bid is placed simultaneously and a winner is assigned in real-time. This caused a bit of concern when the topic of programmatic first started gaining traction in the DOOH industry. By giving up control, media owners were worried that RTB might hinder their current sales process and have a negative impact on their bottom line. Fortunately, concerns about RTB’s role in the DOOH industry can easily be addressed, making programmatic a wonderful opportunity for media owners to generate more revenue. In traditional online RTB, bids are placed and the winning ad is served instantly to the available ad slot. However, in the DOOH industry, there is a slight delay between the final bid and the ad actually being served to selected screens. This is due to the fact that some network connections are not fully guaranteed and delays can be caused by large file sizes. Given that content playback occurs some time after the bid, network operators are also given the chance to ensure ads comply with local laws and regulations as well as network quality policies. This is a very important factor in the industry, as an inappropriate ad playing in a high-visibility area, such as Times Square, could have huge repercussions for the media owner. Therefore, even with RTB, network operators are able to control which ads are displayed on their screens. RTB bypasses the lengthy, error-prone RFP process that the DOOH industry traditionally employs. This is a change that advertisers are craving. In a survey conducted by the Digital Place Based Advertising Association (DPAA), the majority of media planners stated that they would be more likely to recommend DOOH to their clients if it could be purchased programmatically. By working with RTB, media owners can reach new revenues. Rather than working with current customers to gain a larger portion of the DOOH ad spend, programmatic is a great way to compete for a bigger portion of the media buyer���s total advertising budget. Media owners will be successfully competing alongside television, search, online and mobile, while still maintaining high standards for the content displayed on their network. When online programmatic was first introduced, there was much concern that RTB would create a race to the bottom for CPMs. To balance the scales, the industry began to implement floor pricing. Yet what truly brought CPMs back to life was the scarcity of premium inventory. Advertisers were not looking to place their ads on just any blog, but rather high-quality online sources like The Guardian, Vogue and Esquire. The DOOH industry showed concern that they would also fall victim of low CPMs and many media owners were worried that their revenue would suffer with programmatic selling. Yet because the setup for networks is complex and associated installation costs are quite high, most screens are installed in high-traffic, high-quality areas in order to provide the largest reach possible for each screen. To further combat the potential race to the bottom for CPM prices, DOOH is not only viewed by large audiences, but digital signs are also shown to be highly effective at getting the message across. Large-format ads allow for immense creativity and interactivity, easily catching the passerby’s gaze. Actually, SignStix reported that 63 percent of people say that digital signage attracts their attention. A final step in ensuring inventory value remains high is for media owners to work with supply side platforms (SSPs) that highlight the opportunities and benefits of DOOH to media buyers. In fact, the DPAA reported that only 39 percent of media buyers are aware that DOOH can be purchased programmatically. SSPs that are eager to change this number are those who will establish DOOH as a viable programmatic opportunity for buyers. One of the great things about programmatic is that it is not a replacement for media owners’ current sales process. It is simply a complementary tool that can be used to reach new buyers. With RTB, sales teams can focus more time and effort working building relationships with current clients, while letting programmatic take care of the rest. Vince Banks, brings more than 13 years of digital advertising experience to BroadSign. 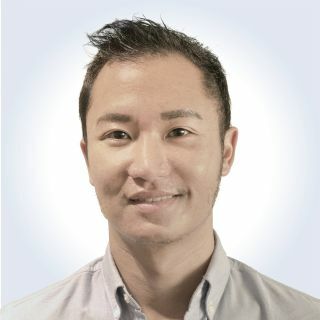 As Vice President of Programmatic Sales Operations, Vince educates publishers, DSPs and agencies on programmatic DOOH and facilitates transactions in the space.